Mozambique Port of Maputo saw its total volumes surge by 22% in 2017 as the port moves toward welcoming even larger vessels. The port handled a total of 18.2 million tonnes of cargo during the year, against 14.9 million tonnes seen in 2016, while the number of vessel calls dropped from 955 to 896 in 2017. However, although the port received 59 less ships calls, it saw 3.3 million of cargo more than a year before. The rise was mainly attributed to the completion of an access channel dredging project in January 2017, allowing for larger vessels to sail to the port. Before the dredging project, with the channel at -11 meters chart datum, the maximum sailing draft of the vessels in Maputo and Matola was on average 12.20 meters and the maximum parcel size varied between 50,000 and 55,000 tonnes. “The dredging resulted in an increase of 40% to the average parcel size for Maputo Main Port and a 55% increase for Matola,” Osório Lucas, CEO, said. The dredging of the access channel to the Port of Maputo from 11 m to up 14.4 m (chart datum) has been completed. “Those three additional metres allow us to affirm, with pride, that we are a port prepared to receive Capesize ships,” says Maputo Port Development Company (MPDC) CEO Osório Lucas. 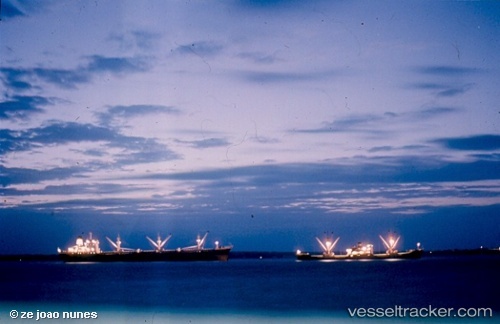 “Until very recently, these same ships had to make double stops, one in our port and another in another port of the region, or even be diverted to neighbouring ports.” He said the investment was made in order to transform the Port of Maputo from an alternative port “into a port of choice.” Capesize ships are the largest dry cargo ships. They are too large to transit the Suez Canal or Panama Canal, and have to pass either the Cape of Good Hope or Cape Horn to deliver their goods.